Chris Schwizer, PA-C, began practicing at OSC on Monday, May 18, 2015 with Dr. Boyd W. Haynes III. Chris comes to us from Princeton Orthopaedic Associates, in Princeton, New Jersey, where he has been employed as an Orthopaedic Physician Assistant since 2010. He arrives with a great deal of experience in Sports Medicine, Joint Replacement and Arthroscopic Surgery, making him just about the perfect fit for Dr. Haynes’ practice. 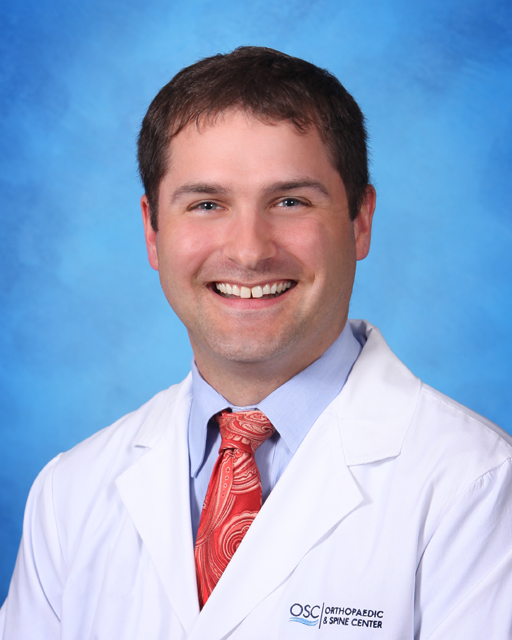 Chris graduated with a Bachelors Degree in Health Sciences from James Madison University in 2005 and with a Masters in Physician Assistant from Seton Hall University in 2010. Chris has spent time in the office at OSC and in the OR at MIH and PSC and he is well-prepared to assist Dr. Haynes with your care. Chris is married and his wife is a teacher. They and their two children will make their home in the Newport News-Williamsburg area.